LinkSprite Acadia is powered by i.MX6 Quad. It can adapt to a variety of harsh environments and applications. 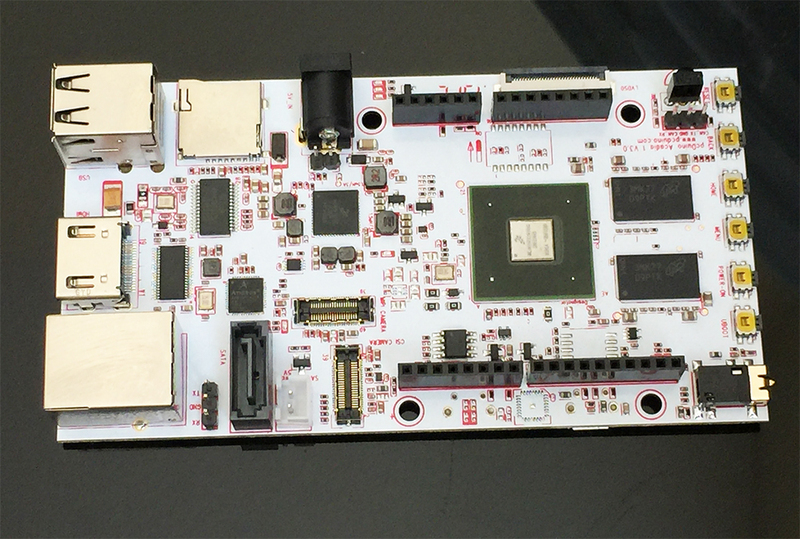 i.MX6 is based on the ARM Cortex -A9 highly scalable architecture. LinkSprite Acadia has HDMI interface to output its graphic desktop screen. It could support multi-format 2048*1536 display. It targets specially the fast growing demands from the open source community and industry application. LinkSprite Acadia provides easy-to-use tool chains and is compatible with the popular Arduino ecosystem such as Arduino Shields. Arcadia doesn’t work with the HDMI to VGA or DVI cables that doesn’t have external power supply as the HDMI port cannot provide enough current to power it up. Note: Acadia powers from the DC barrel port with center positive (5V/2A). Not from the USB port. How to create a bootable SD card. The following tutorials are for a pre-release version of Acadia that has on-board EMMC.